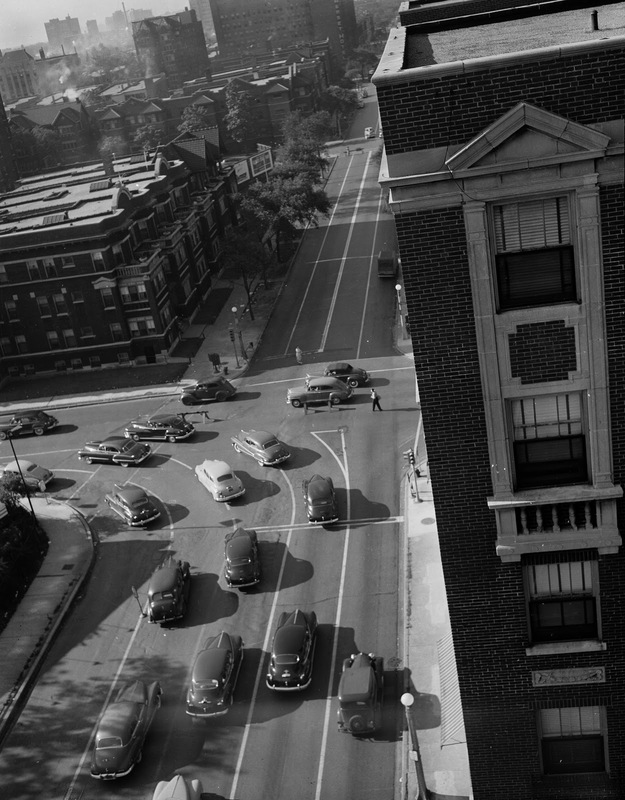 From our new favorite source for images, the IDOT collection at University of Illinois-Chicago. That was always a busy corner! Especially during morning and evening rush hour. I used to walk from Broadway to Foster to Sheridan on the way to either Foster Beach or the Edgewater. Foster Beach had these huge rocks around the sandy portion where we used to walk and enjoy watching the lake almost all year round.